There are certain circumstances that may benefit from a Special Needs Trust. What is a Special Needs Trust, and do you need one? Here is some information to help you decide. What Is a Special Need Trust? A Special Needs Trust or a Supplemental Needs Trust is a tool that is designed especially for those who are unable to receive or be responsible for large lump sums of money at the time the assets are awarded. It allows assets to be retained and used for the benefit of the beneficiary without the beneficiary being the owner or having control of the assets. A Special Needs Trust can be set up as a first-party or third-party trust. A first-party trust is established with assets that belong to the person who will benefit from the trust. A third-party trust is established with assets or gifts from others. 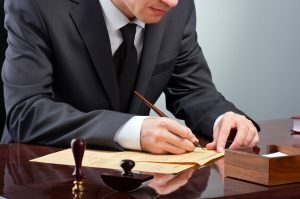 There are additional limitation and rules that apply to both that your estate attorney will discuss with you. Special needs trusts are designed to either be run by a guardian or family member or by a court appointed trustee. They can be revocable or irrevocable depending on the type of trust established. Not everyone will benefit from a Special Needs Trust but there are certain people who will. Here are a few examples. If you have a loved one who has a physical or mental disability and is receiving certain government benefits, they are limited as to the amount of assets they may own. For example, if they are receiving SSI, they are only allowed to have $2,000 or less in countable assets. Going over this amount will make them ineligible to receive this benefit. While certain assets such as their home, a vehicle, and personal belongings are usually not considered countable assets, additional real estate, extra vehicles, and money in the bank are. These types of assets could be placed in a Special Needs Trust. The assets would not be considered countable assets because the trust, not the beneficiary, would be the owner of the assets. Funds from the trust could then be used to supplement the government benefits that the beneficiary is receiving. If your minor child or children have come into a sizable inheritance or financial settlement award, they too may benefit from a Special Needs Trust. This will allow you to maintain these funds separate and apart and to provide instructions on when and how the funds should be distributed. Setting up a trust can also ensure that a child does not come into a lump sum of money before they are able to manage it. Distribution guidelines can be put into place that will dictate when and how the trust balance is received. This could vary from a lump sum to staggered payments over time. There are other family members who may also benefit from a Special Needs Trust. These include those with an addiction, those who mismanage money, and those who are in unstable marriages. In all of these cases, a Special Needs Trust can help to protect the assets placed in the trust. A Special Needs Trust is just one of the many estate planning tools you can use. Ivy Law Group PLLC is available to help you figure out the best options for your specific estate. Give us a call today so we can get you started in the planning process.